Darn, we've had a lot of "technical difficulties" this week with our Blog... Today was no exception. 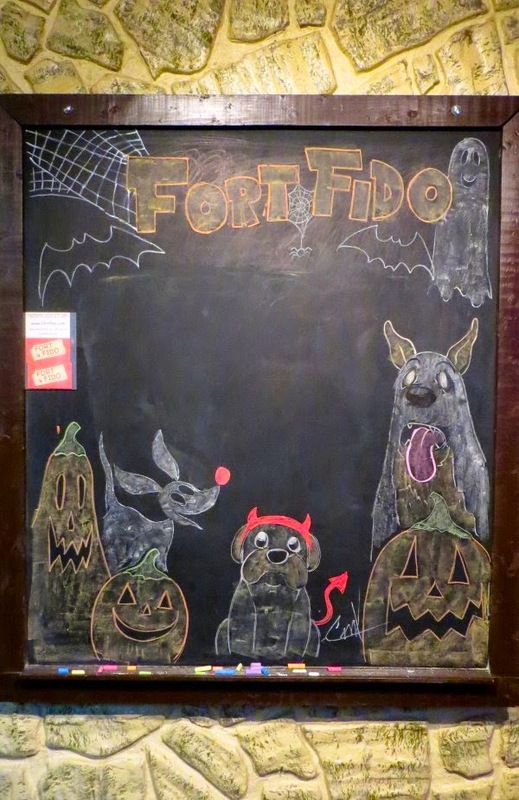 Hopefully we will be back up and running tomorrow (Halloween), with the introduction of new Fort Fido Member Allie. Stay dry and stay tuned! Last Saturday, Fort Fido had the pleasure of participating in the 2014 Fall Fun/Safety Day, put on by none other than the awesome, West Pierce Fire & Rescue. It was Fido's sixth time at the event, and he had a great time. As usual, all the kids and families that attended had a blast too. Sorry for no blog post today, unfortunately we are having some minor technical difficulties. We will be back up and running soon! Tomorrow, we will be posting photos from Fall Safety Day. Meet the Secret Service Dogs Who Took Down White House Fence Jumper I don't think we're gonna see too much more of that action lol! The Original Dog Whisperer This one is a must see folks! Boots the dog plays Mary Poppins to kittens Awww! How a dog modeling menswear makes $15,000 a month Dang, way to go dawg! Dog-loving trucker takes dog on 1,380-mile ride home That is one lucky-dog. Meet Baxter! 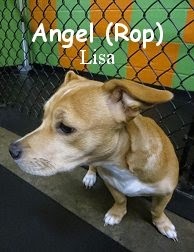 He is a one year old, sixty-two pound, brown and white colored, Boxer Mix, that had his assessment today at Fort Fido. Baxter entered our Big Roll Play Area cautious, yet curious. He wasn't quite sure what he was here to do at first. That was until he started to meet the other canines. Right away, Baxter seemed to hit it off with Jackson and Jesse. As the pack grew in size, he continued to roll about enjoying the day here at The Fort with the fellow pack members. Baxter had an extremely great time playing with Tucker as seen in the videos below. Below, Baxter rumbles about with Tucker, and Lucy. 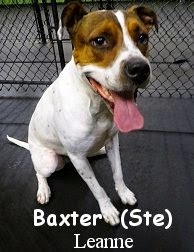 We are excited to see Baxter return and make even more great friends here at Fort Fido. Our busy-week at The Fort continued this morning with two more new comers! In for their Assessments this morning, were "brothers" Charlie and Levi. 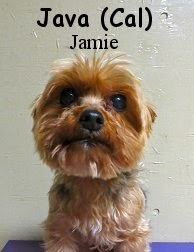 Charlie is a nine year old, twenty-five pound, Shih Tzu and Terrier Mix. 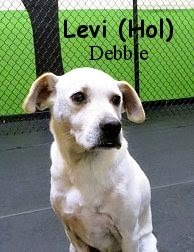 Levi is a nine year old, forty-five pound, Labrador Retriever Mix. Based on Charlie and Levi's size, and the fact that they have both been Dog Daycare regulars, at various locations across the country, for years... We thought it best to put them in our Medium Roll, keeping them together. The Medium Roll is a play area with much action and fun. It also varies a lot, in the sizes and play-styles of the dogs that call it home. Sometimes dogs from the same family are split up, and other times they aren't. We usually start dogs of the same family together, and then observe them, before making a more permanent " placement decision". Keeping them together or splitting them up, depends on how they interact with the pack, and each other, in the presence of the pack. Sometimes, dogs of the same family, or even siblings, will "tag team play" too much, "beat each other up", or can even become possessive of each other (i.e. one protecting the other). Thankfully, that wasn't the case for Charlie and Levi. This twosome interacts very well with one another, and the pack as a whole. Their canine communication skills are skillfully honed, which is always great to see. Both Charlie and Levi blended in seamlessly with our group. They got comfortable at Fort Fido right away. Although they didn't play too much, we believe that they will after a few visits. We were actually kind of surprised that they didn't play more, but that usually comes in time. The neat thing, was that you'd never know they hadn't stayed with us before, if you watched them interact in the play area. Charlie and Levi, first rate job brothers! We'd like to see you again soon. In other news, we aren't doing too shabby in King 5's The Best of Western Washington contest. So please, follow this link and vote for us! I've found it even easier to do, when you're logged into Facebook first... But you don't have to be. This Monday has started out with a bang here at The Fort! We have three new dogs, of the same family, all in for their Assessments this morning. They are half, of a six-dog-pack, that we are assessing today and tomorrow. Get this, today's three are all Chihuahuas! 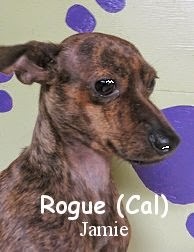 First up, meet Rouge, he is a one year old, ten pound, brindle, Chihuahua Mix. Although he is the latest addition to his owner's pack, he is doing well so far. Upstairs in the Little Roll, Rouge was the most curious and confident. He got to exploring things right away, and enjoyed playing during ball time. Coco Sophia, or "Coco" for short, is about four years old, she is seven pounds, and is beige in color. This Chihuahua gal was a bit more cautious than her "brother", when entering the small dog play area. After a bit of time passed, she began to relax into her new surroundings. 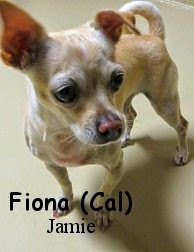 Last but not least this morning, was Fiona, she is the oldest of the three Chihuahuas, at about seven years of age. 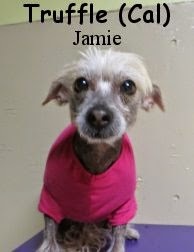 She is a lovely light cream color and weighs eight pounds. She too did a fine job at Fort Fido today, but did take the longest to warm-up to the situation. 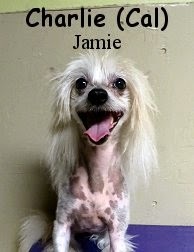 All three of today's dogs are rescues, so their ages may not be 100% accurate. 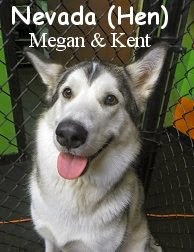 These canines are quite lucky to have found their owner, and mostly importantly, their forever home. Way to go, and way to rescue, much respect! Fortunately for us, all three of today's new canines seemed to get comfortable here rather quickly. 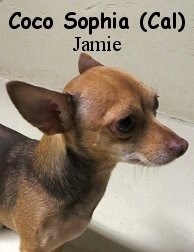 They are all fun little dogs, that should get much enjoyment out of our pack and facilities. Fingers crossed, that the other three members of their pack, will do as good tomorrow! 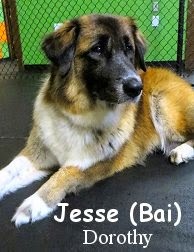 Duke graduate helps train "smartest dog in the world"
Lo and behold Jesse! This handsome looking Mixed Breed is eight years old and weighs about seventy pounds. With a large and confident demeanor, Jesse walked into The Fort's lobby quite ready for his Assessment Day. We had him give our Big Roll Play Area a go, where we assumed he'd do great, given that he has been a Dog Daycare regular for most of his life. Jesse's first "meeting" was with the extra large and fun, Theodore, and to no surprise, Jesse met with him graciously. The pack continued to grow and things continued to go well... However, as soon as Brix got into the mix, Jesse busted out with him, into some high-energy "wrestle play". The two dogs played hard together off and on for a few hours, allowing other canines to join in as well. It was pretty much non-stop socialization-action for Jesse, up until he finally laid down for a rest, after about three and a half hours lol. In the end, we assumed right, Jesse did awesome! Over time, he should prove to be a key player in our Big-Dog Pack. Rest up Jesse, because we plan on seeing you again soon. Meet Mr. Lucky! 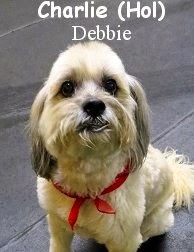 He is a charming, eight year old, thirty-one pound, white and light-brown colored, Cavachon... Which is a lovely mixture of Cavalier King Charles Spaniel and Bichon Frise. This Dog Daycare and Overnight Boarding Veteran, stayed with us in our Medium Roll. 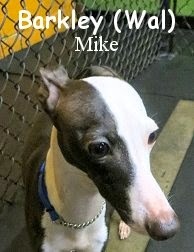 There, Lucky, wagged his tail and sniffed about while leisurely getting to know the Play Area. As we introduced him to members of our pack, he seemed delighted to "meet and greet" with them. 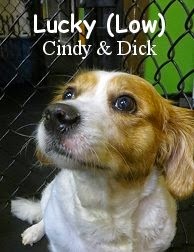 For the majority of his stay, Lucky carried with him, an easy-going and comfortable attitude. Although he didn't get into much play, his actions implied that he was pretty comfortable here at The Fort. We enjoyed Lucky, and we hope that he will enjoy staying with us. We would like to see him get involved into some more physical play, and believe that there is a good chance he will... Especially, after he spends some more time here at Fort Fido. Lucky, you had a tremendous first day, good on ya bud! Is on point! What a fantastic and "spooky" piece of art. Happy Halloween Everyone, and thank you Carlos! 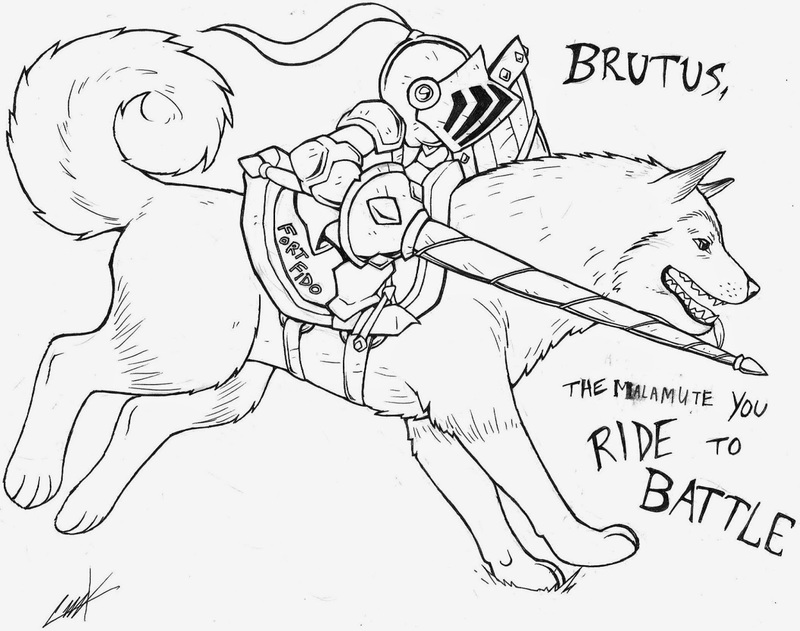 I particularly like the ghost dog "Zero" from The Nightmare Before Christmas, too cool! Today the Fort Fido team spent time with Della. She is a spry, eleven year old, sixty-five pound, Black Labrador Retriever Mix. 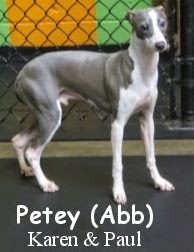 This Dog Daycare Veteran did outstanding here! From the moment she entered the Big Roll Play Area, you cold tell that it was not her "first day at the rodeo"... Della is quite social, and more than comfortable around a pack of dogs. She communicated with, and fit in with ours effortlessly. We were happy, albeit a bit shocked, when within minutes, Della was playing hard with some of our most rowdy and young canines. It was a delight to see! Della continued to have a good time throughout her stay, and she even rested a bit after lots of vigorous play. She is welcome to hangout at The Fort anytime. How neat it was today, to visit with a more "mature dog" that has "still got it" lol! 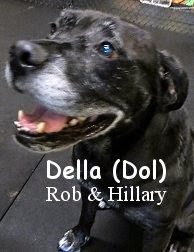 Way to be Della, who says "you can't teach an old dog new tricks"? Man, it has been awesome around these parts lately... We've had quite the influx of one of my favorite dog breeds, The Shetland Sheepdog. 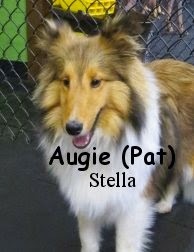 This morning marked the fourth "Sheltie" that The Fort has assessed in the last two months. Woo hoo! It's funny, because after eight years of being in business, we've only seen three other shelties before the current four. So including my dog, Gibson, there are currently six Shetland Sheepdogs here at Fort Fido. Maybe their popularity is on the rise once again? They were definitely most popular in the 80's/early 90's, and were Japan's most popular breed for years up until recently. I'm chalking it up to celebs getting them... Thanks Miley lol! Ok, now in all seriousness, meet our latest recruit, Augie! He is a energy-filled, seven month old, fourteen pound, Sheltie. We had Augie try out the Little Roll upstairs, just to see how it'd go, knowing that he'd most likely graduate to the Medium Roll... Sure enough, he was too much for the tykes up there. He did nothing wrong, he just needs more room, more stimulation, and more rough and tumble types of playmates. So after a couple of minutes upstairs, Augie headed to the Medium Play Area. Waiting there, was the absolutely perfect dog to meet Augie, and match his energy level, it was none other than, Georgie. The twosome sniffed each other for about ten seconds, before the sprinting and chase games ensued. Augie's owner was not joking when she said he was a "wild one". All in good fun, Augie continued to make new canine buddies and play hard throughout his stay. Although quite a live-wire, Augie, did a great job here today. 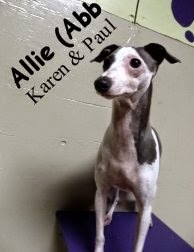 With time and consistency, Augie and his owner can get quite a lot out of Dog Daycare. It will sharpen his social skills, and will most definetly take away "some" of his energy. Hopefully he's "down a notch" after today's visit, haha! Feast your eyes on this fine specimen, Bodie. 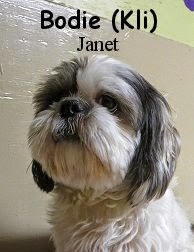 He is a handsome, four year old, fourteen pound, Shih Tzu, that had his Assessment at Fort Fido today. Lucky for Bodie, he's found a wonderful forever home with his owner, Janet... Who just so happens to have been a long time Fort supporter. She used to bring her fun-loving, Wildman-of-a-dog, Hunter, to us for years, before he passed, R.I.P. Now back to Bodie! We trekked upstairs to the Little Roll with him in tow. After letting him get his bearings inside the Play Area, we unleashed some "beasts" for Bodie to meet lol. He met with the others in a kindly and gentle fashion. It was clear from the get-go that he has palled around with other canines before. Once more dogs arrived, Bodie continued to meet and greet with them. He socializes well, but his true love is toys! Bodie particularly liked the orange colored, rubber, Chuckit! balls. All in all, Mr. Bodie may attend Fort Fido whenever he'd like, and we can't wait to see him again. Here is a little clip of Bodie playin' ball. 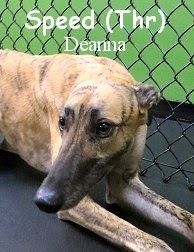 Meet Speed, she is a pretty, two year old, sixty-two pound, Brindle, Greyhound, that had her assessment this morning. Due to the fact that, Speed, although large and fast, is a bit of a "couch potato", we had her try out the Medium Roll Play Area lol. Once therein, Speed sniffed around a bit, then graciously met with the other canines. We were told that Speed would most likely play in short bursts and then just lounge around... That's pretty much what she did. We didn't see too much play out of her, however, she seemed interested. She especially perked up, when her outside-The Fort-dog friend, and Fort Fido regular, Sophie, showed up. As the morning progressed and the Medium Roll's pack grew in size, Speed, continued to act cool, calm, and collected. She is a very sweet dog that is welcome here anytime. We hope to see her get into some more "play-action" in future visits. Good job today Speed, you gorgeous creature you!